As many of you are aware, Metzner was one of the notorious Cambridge Three, participating in psychedelic research at Harvard University in the early 1960s with fellow psychedelic perpetrators Timothy Leary and Richard Alpert (later named Ram Dass). Metzner was a psychotherapist, and Professor Emeritus of psychology at the California Institute of Integral Studies in San Francisco, where he was formerly the Academic Dean and Academic Vice-president. In 1964, Leary, Alpert, and Metzner would co-author and publish: The Psychedelic Experience: A Manual Based on the Tibetan Book of the Dead. This collaborative work was intended to be an instruction manual for guiding participants and facilitators during psychedelic drug sessions or “trips” (especially the harrowing psychedelic experience of what has been called "ego-death"). Also known as the Bardo Thodol, the Tibetan Book of the Dead is an ancient Buddhist manual on death and dying. It guides one through the stages of death and subsequent rebirth. "A psychedelic experience is a journey to new realms of consciousness. The scope and content of the experience is limitless, but its characteristic features are the transcendence of verbal concepts, of spacetime dimensions, and of the ego or identity. Such experiences of enlarged consciousness can occur in a variety of ways: sensory deprivation, yoga exercises, disciplined meditation, religious or aesthetic ecstasies, or spontaneously. Most recently they have become available to anyone through the ingestion of psychedelic drugs such as LSD, psilocybin, mescaline, DMT, etc. Of course, the drug does not produce the transcendent experience. It merely acts as a chemical key — it opens the mind, frees the nervous system of its ordinary patterns and structures." The good doctor Metzner will be dearly missed on this plane of existence... we trust that he is having a grand time in his reunion with Tim Leary... across the great river, beyond the veil. 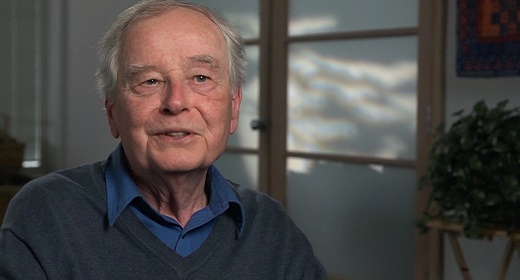 Ralph Metzner (May 18, 1936 – March 14, 2019) - rest in peace, dear man! Kind of apt that Ralph passed on Pi Day (3/14), Einstein's birthday and also the one year anniversary of the passing of Stephen Hawking.